7) It makes a sense to make similar anti-laws to ban USA or European leaders coming or making business with India for their COLONIST OR IMPERIALIST wars waged on iraq or Afghanistan or Iran or.....etc. 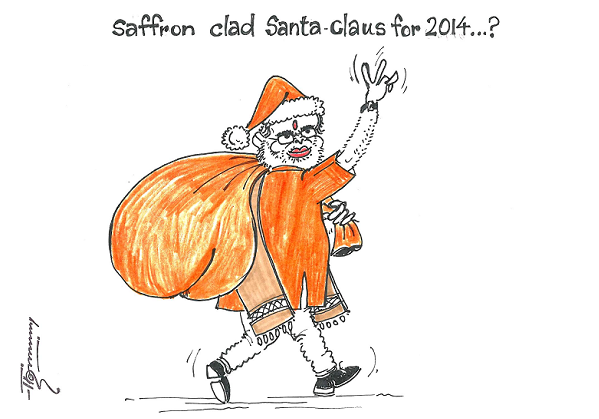 Narendra Modi is Narendra Modi, he needs no Santa Claus. Narendra Modi is shown as doing double march towards year 2014. What for? 2014 loksabha election which will decide PM for India. Question is what after he becomes Prime Minister. How world will look at him? How world will look at him after remaining PM for 7 years, even now? Congress is sure to make 2013 instead of 2014 to prevent Modi effect. Congress Rahul Gandhi is no match for Narendra Modi.